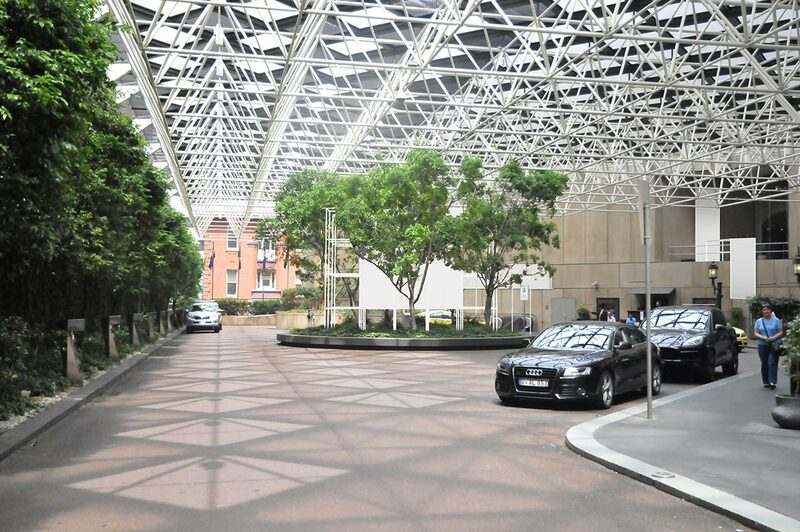 A collaboration between Workshop Architecture and artist Bridie Lunney, Platform Contemporary Public Art Spaces, and RMIT University, inventively addresses the Sofitel vehicle dropoff area (known as a porte cochere) at Collins Place. This distinctive space, giant and empty, is intriguing, yet dysfunctional for its associated retail and entertainment uses. Our proposal was to use and creative intervention to rethink this space as a theatre, inviting a new occupation alongside the daily drop-offs, connecting it to the greater public life of the city. 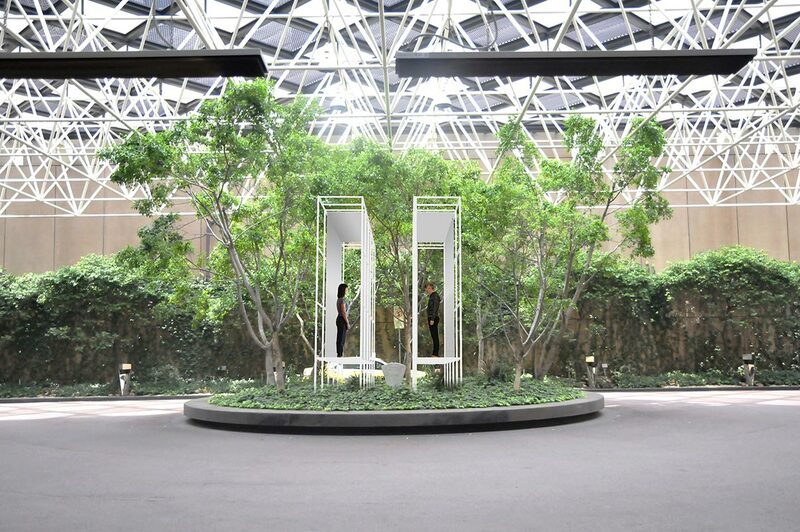 Porte Cochere is proposed as initial project that extends the contemporary art programme within Sofitel into the Collins Place precinct. Three installations act as stages for a series of performances, some of which will last for many hours. 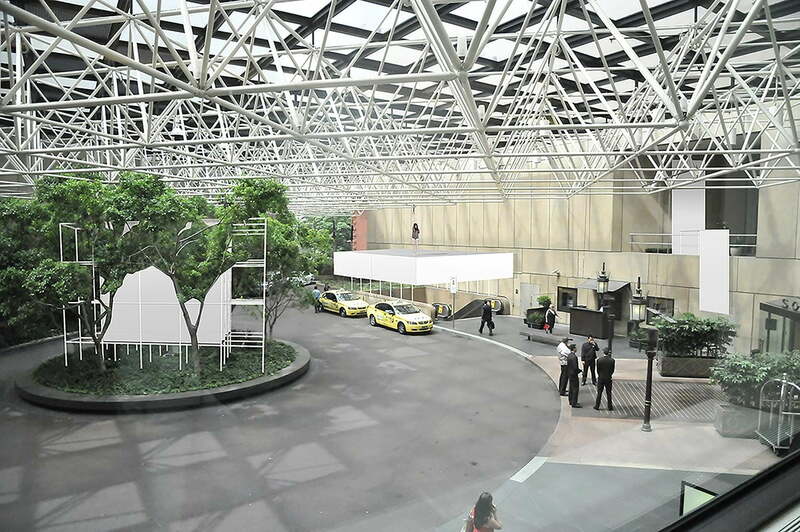 Each are designed to frame both the performance and the space, responding to the distinctive architecture of the porte cochere and providing a safe performance area separate from both cars and pedestrians. The three stages respond to the three dominant elements of the space: the central roundabout, the escalator and the large balcony created by the inward fold of the tower’s base. Each concentrates the spatial and architectural effect of its site: blocking, extending, compressing, abstracting. 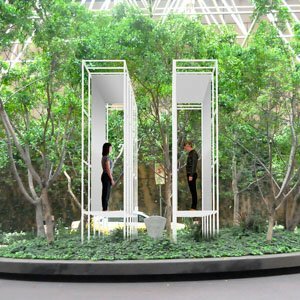 Performances will occur alongside the surrounding day-to-day use of the lobby, the hotel bars above and the public thoroughfare. These multiple viewpoints are a key part of the work; different experiences are gained by moving through the space at ground level and within the hotel above.